commented on "The very popular Wernli biscuits and Laeckerli Huus Basler Laeckerli are available now 365 in New Zealand. 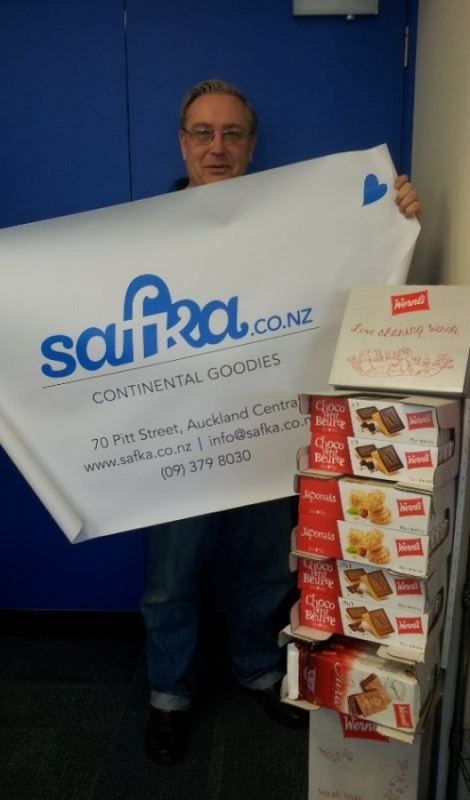 Ideal treats for functions, ..."
The very popular Wernli biscuits and Laeckerli Huus Basler Laeckerli are available now 365 in New Zealand. Ideal treats for functions, family & friends gathering or to spoil yourself. Jari from Safka stokes these treats too. Auckland, Pitt Street.